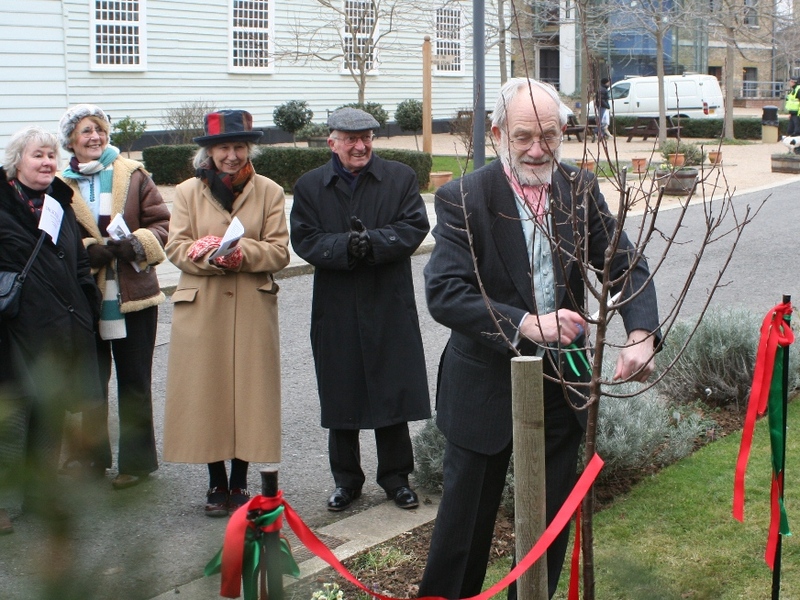 Professor Tony Pointon opened the Dickens border on Wednesday 8 February 2012 to commemorate the 200th anniversary of Charles Dickens' birth. The planting scheme will feature primroses, a spring flower that he particularly liked. Red geraniums, another of his favourites, will be planted later in the season. Tony Pointon is chairman of the university branch of the Dickens Fellowship and chairman of the Charles Dickens Statue Fund. 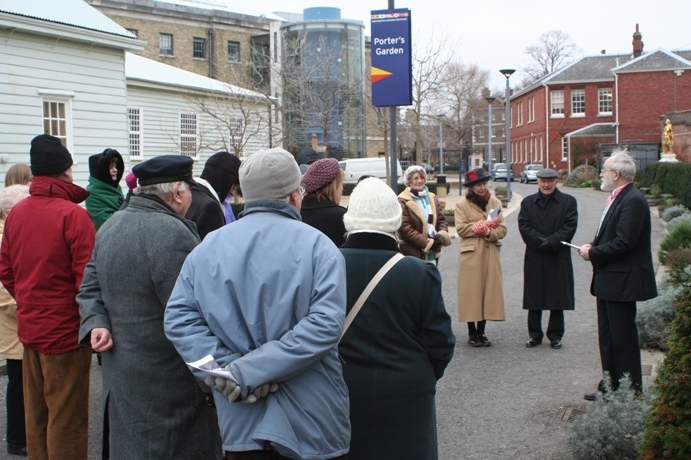 Professor Pointon addressing Friends, members of the Dickens Fellowship and others, said he was delighted and honoured to open the floral tribute to Dickens. He commented that Charles Dickens loved flowers and read an extract from 'Oliver' referring to flowers. 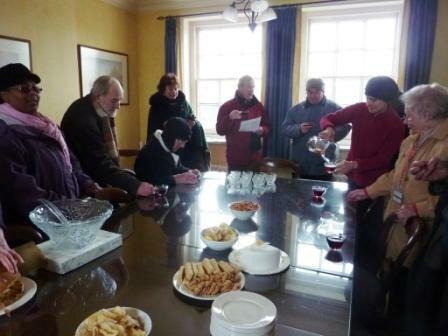 He paid tribute to Charles and also to John Dickens, Charles's father, who was an important man in town in Portsmouth. He referred to the profile in wood of Charles Dickens that had been designed for the occasion by Jean Flack Munday and who was present. 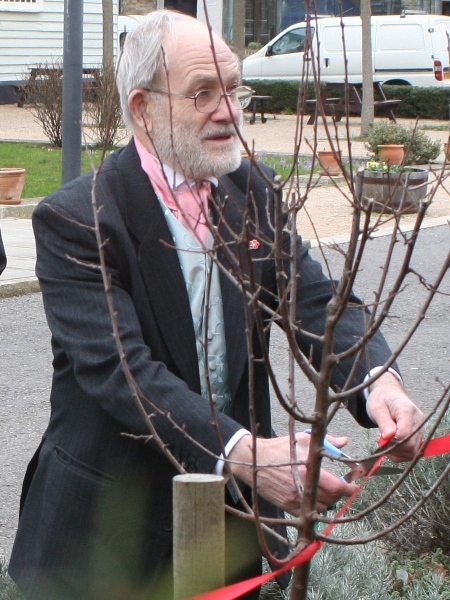 Professor Pointon cuts the ribbon to open the Dickens Border. Dr Ann Coats, Coordinator the Friends of the Porter's Garden, then outlined plans for planting the border and thanked Professor Pointon.